Player evaluation software is transforming how youth athletic organizations run tryouts, conduct player evaluations, and communicate with athletes and parents. TeamGenius’ application allows Directors of Coaching to think beyond simply entering player data during evaluations and instead utilize real-time scoring features to enable instant results and fast roster formations. It also provides ways to reduce biases in tryouts and streamline the process for conducting player and coach evaluations. See below why Directors of Coaching are thrilled to partner with TeamGenius. The TeamGenius player evulation software allows coaching directors to see real-time player scores and rankings during evaluations. As soon as evaluators enter a grade, directors and others with access to the platform can see the score. They can also keep tabs on overall player rankings during evaluations to instantly see who the top performers are. Using TeamGenius allows clubs to ditch the paper and pens, and more importantly, ditch the lengthy process of manually calculating all scores and ranking athletes. Using the application not only saves valuable time, but it assures directors that the athlete scores and rankings are accurate. Manually marking and adding scores can result in typos or miscalculations. St. Croix Soccer Club Coaching Director Nathan Klonecki estimated the TeamGenius platform saved his club 20 to 30 hours of work. “It saved numerous hours and human error. We caught some mistakes this year we might not have in the past,” Klonecki said. Skylands Ice World in New Jersey also used the TeamGenius app to save time and eliminate potential mistakes. Using TeamGenius’ instant scores and player rankings allows clubs to form rosters faster. This helps save directors time creating teams and allows athletes to have access to results and rosters more quickly. Before using TeamGenius, Choules said the league administrators would spend about two hours discussing player performances after evaluations to determine rosters. By being able to access athlete scores and overall rankings instantly, Choules said the discussion and team formation was reduced to about one hour. Make sure you’re ready for tryouts by downloading this Tryout Prep Checklist. Reducing the amount of time to form rosters also enables Skylands Ice World to communicate results to players faster. Sending out player results and rosters from the software allows teams to tell athletes and their families when to expect an email from the club. This will deter parents from calling the organization to get updates on results, and it saves teams time by being able to send all communication from the app. The TeamGenius application allows directors of coaching to take steps to reduce biases from tryouts and increase transparency. During evaluations, directors of coaching can choose to hide player names from the TeamGenius application and instead list them by only their assigned tryouts number. This measure can help prevent any potential biases evaluators might have about an athlete based on his or her name. Here are some additional resources on how to keep tryouts fair. Directors can also use TeamGenius to increase transparency between the club and players by providing athletes and their parents with evaluation results after tryouts. Andrew Lenhardt, the Director of Coaching at Springfield (Ill.) Area Soccer Association (SASA), tells parents and players during tryout sessions that results will be available after the evaluations. He thinks this establishes transparency between the league, the athletes, and their parents. Families know they are receiving the same results directors and administrators are using to form teams. 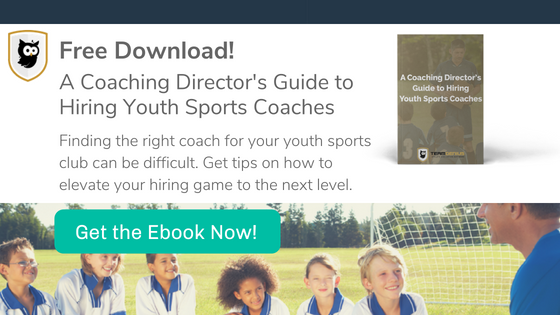 Having the results – and player evaluations – readily available to provide to families can help coaching directors when speaking with upset parents and players. If parents question tryouts results, directors have easy access to player scores and rankings to justify player placements. Here are some tips to help kids prepare for tryouts. A director of coaching can also use TeamGenius’ application to address mid-season playing time issues with players and their parents. If an athlete is questioning his or her playing time, directors can access the platform and pull up player evaluations to show why there is a change. This has been helpful for the Utah Avalanche and AFC Apex clubs. The soccer teams can answer parent questions with data from TeamGenius. Directors and coaches can show if there was a drop-off in player performance through evaluations and provide the information to families. The TeamGenius platform provides clubs with the ability to create and send player and coach evaluation forms within the application. This functionality allows directors to streamline the evaluation process. An evaluation form can be created and saved in the platform, and then sent to players and coaches. This allows directors to ensure the same criteria is being used in all evaluations and makes reading the results much easier. Click here for tips on how to get coaches onboard with using TeamGenius. Klonecki said he likes that the evaluations are available in the platform for himself, coaches, and other administrators to access. “Then I can see it, coaches can see it, and send off to families,” said Klonecki. He added that the ability to conduct evaluations during the season and retain the information in the platform is a benefit to both his club, the players, and their parents.